Brizo has announced two new products. 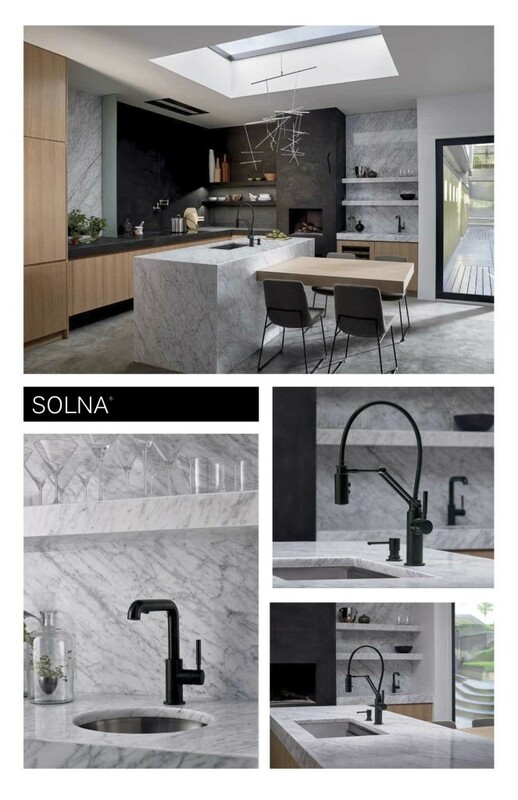 The Solna Articulating Faucet and the Rook Bath Collection. Four talented designers in the Brizo Blogger19 family have come together with Brizo to showcase these newest beauties in rockin set designs. Congratulations to my four friends: Jonathan Legate of Jonathan Legate Interior Consultation, Christian May of maison21, Donna Hall of Donna Mondi Interior Design, and Richard Herb of Richard Herb Associates....If you didn't know the Brizo Blogger19 represents an elite group of designers, architects and influencers who gives insight into Brizo's new products they are about to bring to market. I am proud to be a part of this group and have met so many wonderful people including the impressive Brizo team. I love this kitchen set vignette by designer Jonthan Legate! The Solna takes center stage in a space of beautiful materials and textures. Inspired by contemporary Scandanavian furniture, the Solna's sleek articulating movement features a hidden pull down spray wand held in place with MagneDock Technology. 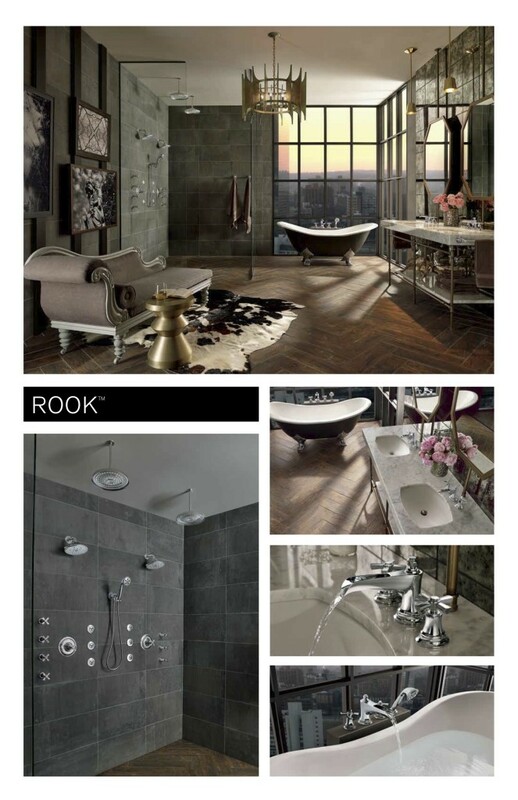 The Rook collection has a different feel than the Solna. Its blocked shape inspired by a rook chess piece focuses on the intersection of old and new with its classic modern and traditional elements. The Rook is showcased in Designer Christian May's set design. 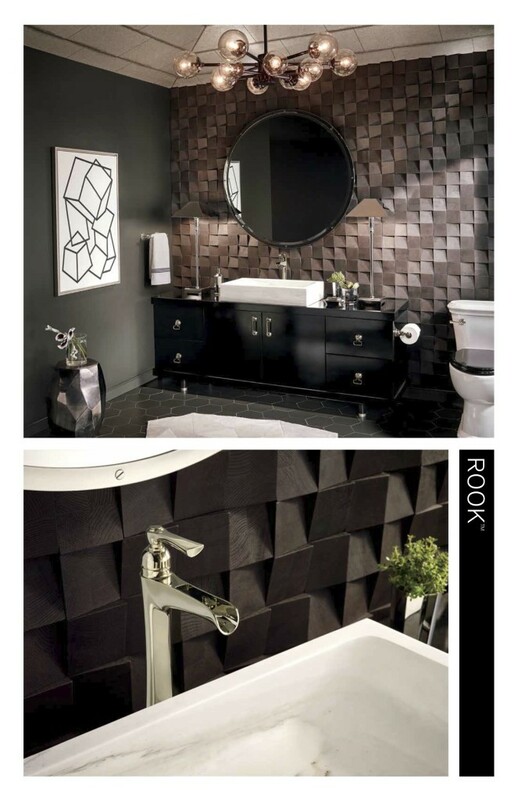 His edgy use of dimensional tile with geometric accent pieces plays nicely with the Rook's waterfall lines. Very cool! I want this shower design by Designer Donna Hall, two of everything! The accouterments make this bathroom feel so lush. A great escape for a couple. Wonderful space! 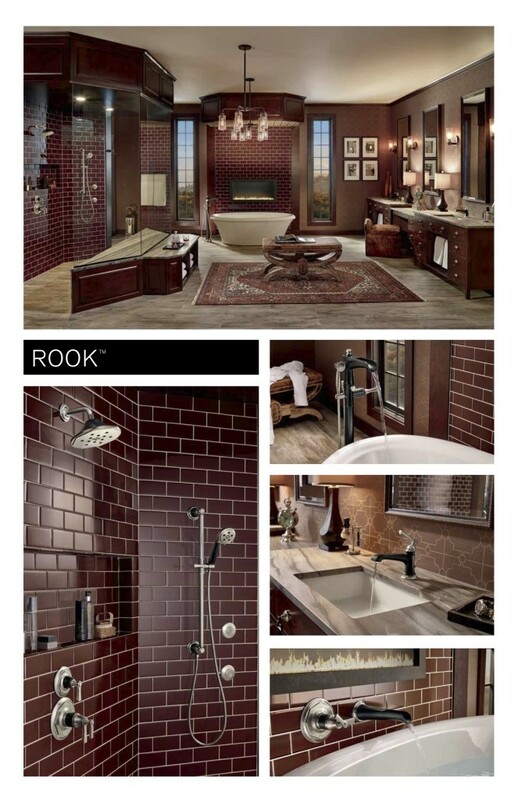 Designer Richard Herb combines Rook's masculine details with rich subway colored tiles to enhance a spa experience. The shower becomes a real focal piece. Nice!